These devices are elements of intrinsic safety; the intrinsic safety method is based on limiting the energy of the possible spark so that it does not occur. This is very interesting in the areas of explosive atmospheres, since in this way, the apparatuses do not need of other elements of protection. 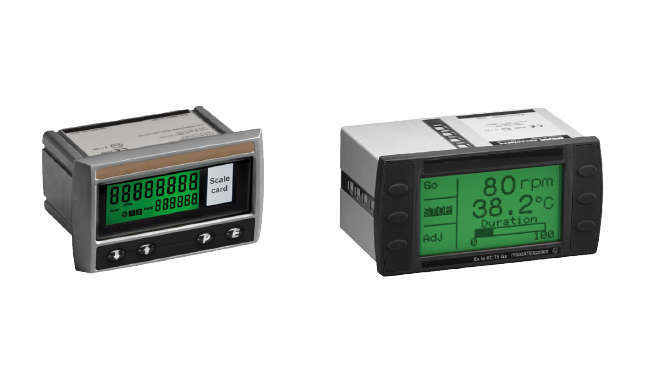 Fieldbus display and Fieldbus indicators: these fieldbus devices can have up to 8 different variables, with which different values will be measured and calculated, and the fieldbus users’ status information will be provided in a fieldbus network. In monitoring mode, the device monitors the configured bus addresses and displays their specific values. Also, the values available on the bus can be displayed by interconnecting the function blocks in the case of a fieldbus indicator. The status of the process value is displayed with icons or as text in the indicator itself. The device receives power from the fieldbus and can be used in hazardous areas up to temperature class T6. Compatible with FOUNDATION protocol and PROFIBUS PA protocol. Totalizers: they are measuring devices capable of retaining data and quantifying them. And simultaneously, provide information on the accounting of such data. They can also be programmed to act in a certain way when any of the data collected exceeds a previously defined value. Serial text displays: these screens provide messages, warnings or suggestions in areas of explosive atmospheres 1 and 21. These devices are elements of intrinsic safety; the intrinsic safety method is based on limiting the energy of the possible spark so that it does not occur. This is very interesting in the areas of explosive atmospheres.